A San Diego resident and lifelong Padres fan got to watch the home opener at Petco Park Thursday in seats fit for a king – seats given to him by a man now known as Padres royalty, No. 13 himself, Manny Machado. Through a contest on Instagram Wednesday night, Machado gave away a pair of field-level seats behind 3rd base to one Friars faithful. That lucky man was Jorge Santiesteban, who enjoyed the prime location with his wife during Thursday’s game, where the Padres beat the San Francisco Giants. 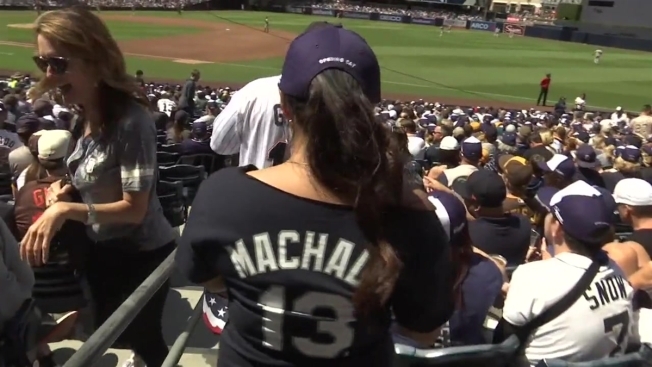 Santiesteban sported a Tony Gwynn jersey, while his wife wore Machado gear. The couple had already planned to go to the home opener. Although, Santiesteban said Machado’s giveaway certainly upgraded their Opening Day experience. Santiesteban told NBC 7 he won the tickets purely by chance. Santiesteban told NBC 7 he’s been a San Diego Padres fan since 1986. Over the decades, he’s weathered the emotional ups and downs of being a true fan. “We’ve been through rough times; you know what I mean? I’m not one of those people who’s just going to jump on the (band) wagon and get all happy,” said Santiesteban. 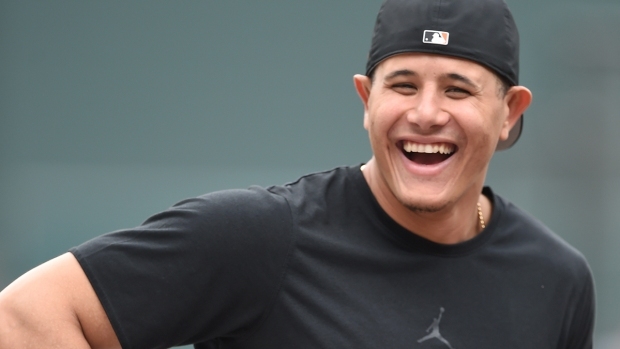 He said he first noticed Machado on the MLB scene when Machado played for the Baltimore Orioles. Santiesteban thought he was a great player, but confessed he wasn’t a die-hard Machado fanatic. After winning the tickets from Machado, Santiesteban joked that he likes him a little bit more, but, as a Friars faithful, the fan just wants to get on with baseball season and see what Machado can add to his favorite team. “You know what? I’m glad he’s with our team. Hopefully, he’ll start doing his thing with the Padres. Once we start winning, once he starts doing what he does, we’ll see what happens,” he added.